COVETED ESTATE SITUATED ON THE HIGHEST POINT OF LAKE MINNETONKA. A JOHN KRAEMER &AMP; SONS . . .
A WORLD-CLASS COMBINATION OF TIMELESS ARCHITECTURAL DESIGN AND CRAFTSMANSHIP, THIS PRIVATE . . .
ONE OF THE MOST IMPRESSIVE PROPERTIES IN THE MIDWEST, THIS EUROPEAN-INSPIRED ESTATE PERFECTLY . . .
HIDDEN FERNDALE LAKESHORE ESTATE! 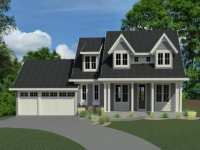 RARE OPPORTUNITY TO OWN A READY TO MOVE IN CUSTOM HOME WITHIN . 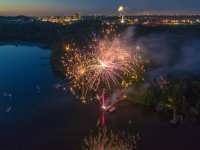 . .
A SIGNIFICANT PRESENCE, SITTING ON THE SHORE OF LAKE MINNETONKA IS ONE OF THE AREA'S MOST . . .
GRAND EDINA LAKE ESTATE. PRIVATE 4.5 ACRES W/ OVER 375 FT OF LAKESHORE. FROM THE MARBLE FLOORING TO THE CRYSTAL CHANDELIERS, THIS HOME SHOWCASES IMMACULATE DETAILS . . . DESIGNED BY FAMED ARCHITECT FREDERICK SOPER, THIS SIGNATURE SPANISH REVIVAL IS ONE OF THE MOST . . . THIS LIKE NEW LAKESHORE ESTATE HAS AMENITIES GALORE! 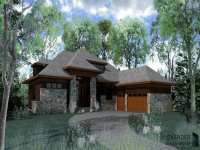 THE PROPERTY SITS ON A 2+ ACRE LOT, WITH 250 . . .
TANAGER ESTATES - NEW EXCLUSIVE DEVELOPMENT. THIS TO-BE-BUILT HOME BY STONEWOOD BUILDERS WILL BE A . . . RESORT STYLE LIVING IS YOURS IN THIS STUNNING PROPERTY ON THE ST. CROIX RIVER. DESIGNED BY . . . 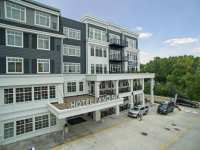 BEAUTIFULLY FINISHED 5,000 SQUARE FOOT SOUTH EAST FACING PENTHOUSE CORNER UNIT CONDO. 2 BEDROOMS, 2 . . . SPECTACULAR STONEWOOD BUILT EXECUTIVE HOME CAPTURING AMAZING SUNSETS OVER STUBBS BAY. THIS HOME IS . . . EXTRAORDINARY LAKESHORE ESTATE! BEAUTIFULLY SITED ON 2.9+ ACRES OVERLOOKING LAKE MINNETONKA. . . .
MODERN ARCHITECTURAL MASTERPIECE DESIGNED BY SALA ARCHITECTS, BUILT IN 2015. AWARD WINNING FOR ITS . . . SPECTACULAR 10-ACRE NORTH WOODS SETTING JUST 5 MINUTES FROM DOWNTOWN WAYZATA. ITALIAN INSPIRED . . .
MIHM CUSTOM HOMES MASTERPIECE ON 9.75 EXTENSIVELY LANDSCAPED ACRES IN PRIME SUNFISH LAKE. VERY OPEN THOUGHTFUL DESIGN INCORPORATES FABULOUS FINISHES THROUGHOUT. IT IS . 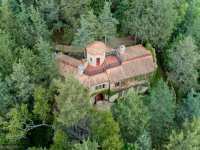 . .
BEST BRYANT LAKE HOME! SAVE 2-4 HOUR COMMUTE &AMP; ENJOY FULL RECREATIONAL LAKE YEAR ROUND. IDEAL . . . THIS 10-ACRE LAKESIDE ESCAPE OFFERS PANORAMIC VIEWS SPANNING OVER 400FT OF SOUTH FACING SHORELINE . . . ENJOY ONE OF THE FINEST SETTINGS ON LAKE MINNETONKA IN COVETED DEEPHAVEN. SITUATED ON ROBINSON'S . . .
RIVERFRONT 1 OF A KIND HISTORIC HOME AVAILABLE FOR THE 1ST TIME IN OVER 60 YEARS. DESIGNED BY THE . . . BEAUTIFULLY REMODELED IN 2014, THIS 'LIKE NEW' WHALETAIL LAKE ESTATE OFFERS UNMATCHED AMENITIES AND . . . INCREDIBLE OPPORTUNITY TO BUILD YOUR DREAM HOME WITH REFINED ON PRESTIGIOUS MIRROR LAKES DR. THIS 3/4 ACRE SITE BACKS UP TO HIGHLANDS LAKE WITH AMAZING VIEWS LEVEL . . . LANDMARK CONTEMPORARY ESTATE IS UNPARALLELED IN PEDIGREE WITH THE COLLABORATION OF CHARLES STINSON, STREETER &AMP; ASSOC. AND COEN &AMP; PARTNERS LANDSCAPE. WALLS OF . . .
AN EXCEPTIONAL PROPERTY SET ON IDYLLIC WOODLAND PARK-LIKE ESTATE SETTING WITH THE ULTIMATE PRIVACY. . . . STUNNING FRENCH-INSPIRED HOME WITH SPECTACULAR VIEWS AND 180 FEET OF USER-FRIENDLY LAKESHORE, ON . . .
AN EXEMPLARY MINNEAPOLIS LAKES WATERFRONT HOME IN THE STYLE OF ACCLAIMED ARCHITECT ROBERT A.M. . . . CUSTOM BUILT IN 2015, THIS UNIQUE HOME IS SET ON 220 FEET OF INDIANHEAD LAKE SHORELINE IN EDINA. . . .
SOPHISTICATED STEINER KOPPELMAN WALKOUT RAMBLER NESTLED IN THE TREES WITH PANORAMIC LAKE VIEWS THROUGHOUT. OFFERING AN OPEN FLOW MAIN LEVEL, TWO STORY LIVING ROOM, . . . REMARKABLE LAKE OF THE ISLES ESTATE, RICH IN HISTORY AND PART OF THE "CREAM OF WHEAT ROW" OFFERS . . . PROUD AS A CASTLE AND DESIGNED BY INTERNATIONALLY RENOWN ARCHITECT FITZHUGH SCOTT, THEN BUILT AND RECENTLY RENOVATED BY OPUS CORPORATION. THE WATERFRONT ACREAGE SETTING . . . ENTER THE GRACIOUS CIRCLE DRIVE (WITH A LARGE, BUILDABLE BONUS PROPERTY WITHIN) TO EXPERIENCE THE . . .
ONE-OF-A-KIND LANDMARK RESIDENCE OVERLOOKING PICTURESQUE BDE MAKA SKA ELEGANTLY BLENDS CLASSICAL . . . THIS STUNNING CUSTOM CONTEMPORARY WILL NOT DISAPPOINT.THE GREAT ROOM HAS 55' OF WEST FACING . . . DESIGNED BY MIKE SHARRATT &AMP; BUILT BY STONEWOOD. ENJOY 101FT. OF WEST FACING LAKE FRONT ON LAKE . . .
AN ESTATE SETTING OF 17 ACRES ENHANCES THIS STUNNING HOME OVERLOOKING THE ST. CROIX RIVER W/500 FT. . . . OUTSTANDING LANDMARK RESIDENCE IN EXCEPTIONAL CONDITION WITH LAKE HARRIET VIEWS. SUPERBLY . . .
ENGLISH-INSPIRED TUDOR WITH INCOMPARABLE RENOVATION BY RENOWNED MARIA KENWORTHY INTERIORS, . . . THIS LANDMARK LAKESHORE ESTATE IS THE MOST EXQUISITE PROPERTY ON PRIOR LAKE, WITH THE FINEST LEVEL . . . WONDERFUL OPPORTUNITY TO OWN A PIECE OF HISTORIC DELLWOOD WATERFRONT PROPERTY. BUILT IN 1884 BY . . . THIS EXTRAORDINARY PROPERTY CAPTURES LAKE MINNETONKA LIVING AT ITS FINEST, FEATURING . 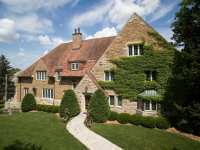 . .
VALLEY CREEK IS THE FINEST ESTATE AVAILABLE IN THE TWIN CITIES. BEHIND THIS 20 ACRE GATED PROPERTY . . . WELCOME TO THIS CUSTOM BUILT MASTERPIECE IN THE MOONEY LAKE PRESERVE! 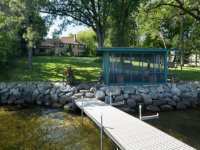 THOUGHTFULLY SET ON A . . .
RARE WAYZATA BAY OPPORTUNITY! PRIVATE AND TUCKED AWAY IN CHARMING WOODLAND. 146 FEET OF SANDY . 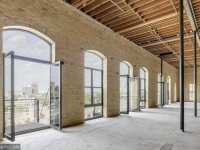 . .
ONCE IN A DECADE OPPORTUNITY TO PURCHASE COMPLETELY RAW, UNFINISHED LOFT SPACE DOWNTOWN AT THE HISTORIC WHITNEY LANDMARK RESIDENCES! TWO SEPARATE LIVING UNITS (#701 . . . TRULY SPECTACULAR COMBINATION OF HOME AND SITE. 300+ FEET OF PRISTINE WEST FACING SHORELINE ON PINE . . . KNOWN AS THE CALHOUNS PAVILION HOUSE, THIS THOUGHTFULLY DESIGNED AND EXPERTLY CRAFTED HOME IS . . . STUNNING DENALI BUILD ON 160+ FEET OF HARD SAND LAKESHORE AT THE END OF THE PENINSULA. FEATURES INCLUDE MAIN FLOOR MASTER SUITE WITH IMPRESSIVE WALK-IN CLOSET, TWO . 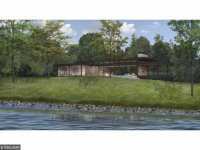 . .
RARE OPPORTUNITY TO OWN A HISTORIC FRANK LLOYD WRIGHT DESIGNED HOME OVERLOOKING CEDAR LAKE. BUILT . . .
4 Listings in Afton MN ..
22 Listings in Eden Prairie MN ..
15 Listings in Edina MN ..
37 Listings in Excelsior MN ..
11 Listings in Hastings MN ..
5 Listings in Long Lake MN ..
45 Listings in Minneapolis MN ..
27 Listings in Minnetrista MN ..
35 Listings in Prior Lake MN ..
2 Listings in St Louis Park MN ..
35 Listings in St Paul MN ..
4 Listings in Sunfish Lake MN ..
42 Listings in Wayzata MN ..
15 Listings in White Bear Lake MN ..